Eli and his father live in an uncomfortable, awkward, and at times tumultuous home. After obtaining a job with a famous biologist, Dr. Wyatt, Eli's estrangement from his father grows as a mystery decades old unravels. What is the relationship between Eli's terminally ill mother and Dr. Wyatt? Why does Eli's father hate the biologist so much? Who is the mysterious, beautiful girl staying with Dr. Wyatt and why does Eli feel so drawn to her? His relationships unfurl and deteriorate as Eli seeks the answers to his questions. When he learns the truth, will it change how Eli sees himself? Werlin, N. (2004). Double helix. New York, NY:  Dial Books. 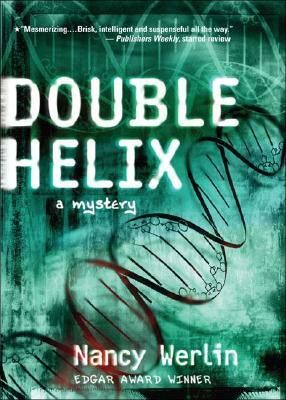 DOUBLE HELIX (Book) [Review of the book Double helix]. (2004). Publishers Weekly, 251(7), 173-174. Nancy Werlin’s medical mystery weaves suspense and medical drama into a thought-provoking narrative. 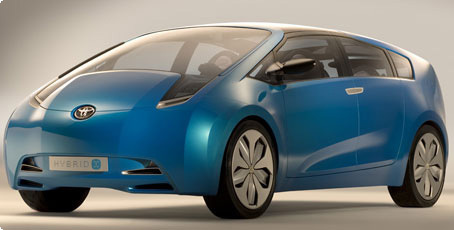 The main characters, Eli, Dr. Wyatt, and Eli’s father, are complimented by a cast of secondary female characters, the enigmatic Kayla and Eli’s girlfriend Viv. Werlin creates strong supporting female characters who display confidence, courage, and intelligence, helping to unweave the puzzle Wyatt presents. In Dr. Wyatt we see the epitome of egotism in medical research and blatant disregard for ethical issues, a warning that Werlin brings home to the readers. Even with a whispered warning regarding the implications of researching involving stem cells, embryos, and genetic engineering, the book itself does not come off as didactic or overly-preachy. Instead, the reader is left with questions regarding these issues and the thrill of a well-structured and evenly paced mystery. 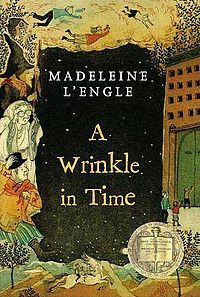 Library Uses:This title is a terrific choice as a read aloud for Language Arts classes and Biology or other science classes as it allows teachers to build cross-curriculuar connections through literature. The library can support the exploration of medical ethics through text sets that include other science fiction and literary texts and nonfiction texts that address the scientific and ethical issues that surround genetic engineering and research. Additional novels may include Jodi Piccoult’s My Sister’s Keeper and Nancy Farmer’s House of the Scorpion. Hope and her aunt arrive at a new Wisconsin town after leaving New York City to work as a waitress and head chef. She has become accustomed to leaving behind friends and moving from place to place, but this new town forces her to put down real root when the restaurant’s owner, GT, a leukemia survivor, decides to run against the town’s interim mayor in the next election. Hope joins the campaign believing in GT’s vision and passion for the small town and finds herself a permanent home with a full family. Bauer, J. (2000). Hope was here. 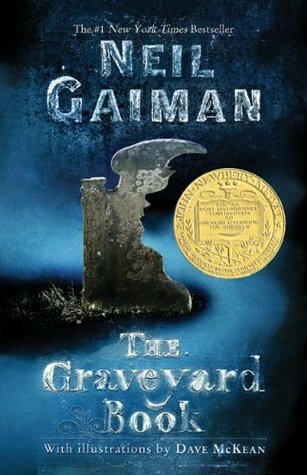 New York, NY: Puffin Books. Hope quickly became one of my favorite female characters. 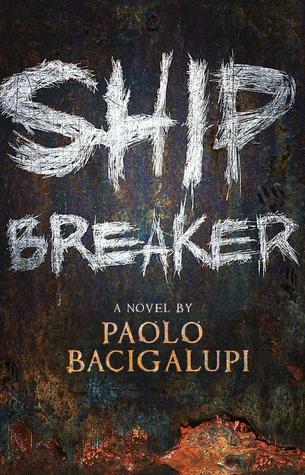 Bauer created a leading female teenage character who is honest, complex, faulted, and most importantly, hopeful. As realistic fiction, this book provides a refreshingly optomistic and gentle examination of some of the more serious issues that some YA realistic titles explore through much more dramatic means. Issues realting to cancer, racism, political corruption, and non-traditional families are treated with dignity and honest perspectives of the characters who are affected throughout the story. GT, although he knows how precarious his life is and how close to death he came, chooses to–despite his relapse–stand up for a cause and become the leader he feels his community needs. The slow-to-grow romance between Hope and short-order-cook Braverman develop with patience and sincerity throughout the course of the novel stands in contrast to the “brooding boy meets girl-next-door” love story that populates many YA books. The secondary cast of characters including the villainous corrupt mayor, Eli Millstone, and Hope’s absentee mother round out the diverse array of human relationships and motivations and stand in stark contrast to heroic GT and Addie, Hope’s maternal figure. The story of 16-year-old Hope’s move and adaptation to a small Wisconsin town offers much to readers.Raised by her aunt, Hope was abandoned by her mother and never knew her biological father. She and her aunt have moved from diner to diner all of her life; her aunt does the cooking while Hope waits tables.Once they arrive in Wisconsin, at the Welcome Stairways Diner, Hope becomes immersed in the town’s corrupt mayoral election, has a romance with a short-order cook, and continues her search for her father.The story’s ending is bittersweet, with Hope gaining and losing a new father, separating from a first love to go to college, and leaving a place that she has called home. Bauer manages to fill her heartfelt novel with gentle humor, quirky but appealing characters, and an engaging plot. Recommended. Fletcherspear, K. (2001). 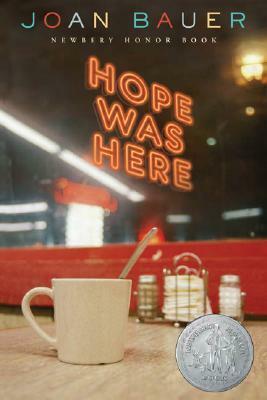 Hope Was Here (Book Review) [Review of the book Hope was here]. Book Report,19(5), 56. Hope Was Here is a strong choice for the central title of a library display featuring strong, independent, yet dynamic female characters. Additional titles may include The Mockingbirds by Daisy Whitney, Catalyst by Laurie Halse Anderson, and The Summer I Turned Pretty by Jenny Han. Meet Joan Bauer and listen to her talk about not being afraid of the things that hurt us and using them as opportunities to make connections to others through writing.